The routing information you enter on this screen is stored in the communications routing table /lansa_adminlib/connect/lroute.dat where LANSA_adminlib is your LANSA administration library. This is the name for the Data/Application Server. (For example, the name might appear as S102ABCD.) This name is simply used to represent the fully qualified name. You will enter this name in Step 6. 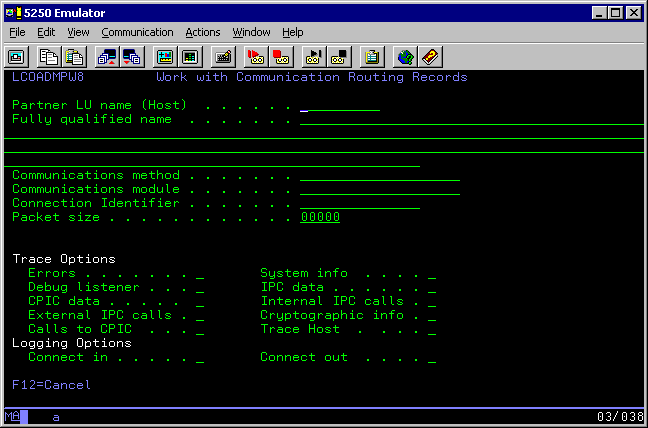 Add New System Information on IBM i Web Server. For an IP connection, the fully qualified host name can be the IP address (for example 123.123.123.123) or it can be the assigned TCP Host Name (for example S102ABCD.APPN.SNA.IBM.COM) for the Application/Data Server. Go to Step 4. Configure IBM i Web Server.